A vibrant Closing Ceremony in drizzly conditions at the Pyeongchang Olympic Stadium brought the curtain down on 10 days of action. Following the hoisting of the host nation South Korea’s flag to start the event off, the first artistic ceremony saw several renditions of the traditional Arirang song, known as the unofficial anthem of Korea, performed. These ranged from a traditional folk version of the song to a heavier rock edition and was claimed to represent all the Paralympians of the world coming together. What followed immediately afterwards was one of the highlights of the Ceremony. After the presentation of the newly-elected members of the International Paralympic Committee’s Athletes’ Council – French Alpine skier Marie Bochet and Nordic skiers Rudolf Klemetti and Birgit Røkkum Skarstein of Norway – the Whang Young Dai Achievement Award, recognizing athletes’ achievements in the disabled community, was officially given to Nordic skiers Adam Hall of New Zealand and Sini Pyy of Finland. Six former recipients of the award then presented a Plaque of Appreciation to Dr. Whang Youn Dai, a South Korean campaigner for the rights of disabled people who the award is named after. Following another artistic segment and the official handover of the Paralympic flag to Beijing 2022, Pyeongchang 2018 and International Paralympic Committee Presidents Lee Hee-beom and Andrew Parsons delivered their closing speeches. Lee opened by paying tribute to the performances of the athletes, and in particular to Nordic skier Sin Eui Hyun, winner of the host nation’s first-ever Winter Paralympic gold medal, predicting it would inspire future generations of South Koreans with impairments. Following a tribute to the late Professor Stephen Hawking, Lee said the Gangwon Province would now be known as the “Land of Peace” and made particular reference to North Korea’s participation at the Games. “Transcending the differences of race and religion, nationality and gender, we laughed together, cried together, and shared together a true friendship and fraternity,” he said. 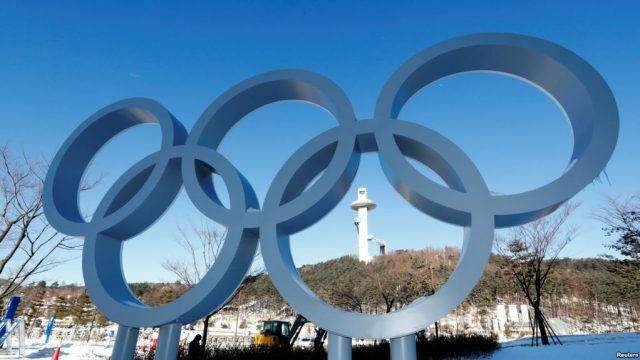 “The Pyeongchang 2018 Paralympic Winter Games connected the world as one, and South and North Korean athletes also raised the Paralympic Torch together. Like Lee before him, Parsons then paid tribute to Hawking. “One man who had a dream was the late Professor Stephen Hawking, a genius of a man, a pioneer and inspiration to us all,” he told the audience. “At the London 2012 Paralympic Opening Ceremony, Hawking noted that we are all different and that there is no such thing as a standard or run of the mill human being. “He urged us all to ‘Look at the stars, and not at our feet’. “And, over the last 10 days the stars have shone brightly here in Pyeongchang. The Paralympic flame was then extinguished, bringing darkness upon the stadium. It was soon brought back to light by the closing segment of the Ceremony which saw the Bae Hui Gwan Band, some of whose members have a variety of impairments, perform alongside singer Alilee. The musicians were then joined by the entire cast of the Closing Ceremony, symbolizing the idea of people coming together and advancing towards coexistence, to bring the curtain down on the event and the 2018 Winter Paralympic Games.